When news broke that C.B. 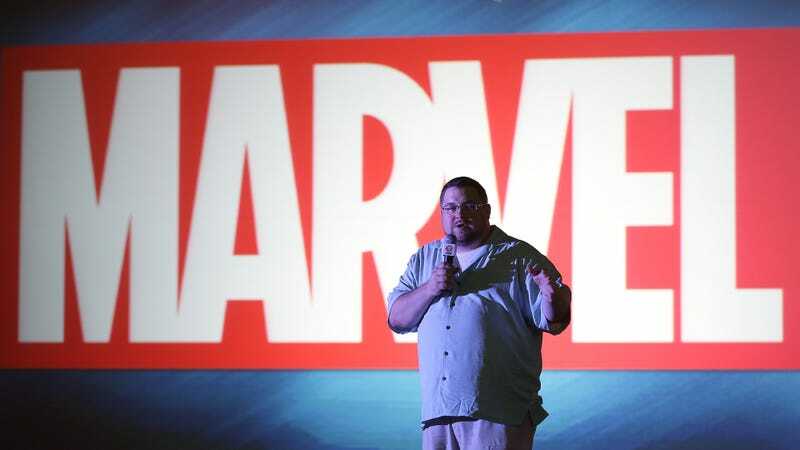 Cebulski was Marvel’s new Editor-in-Chief, many lauded his history of bringing fresh, diverse voices and perspectives into the company. But the news also rekindled longstanding rumors that Cebulski had been spent months writing for Marvel as “Akira Yoshida,” a Japanese man. Cebulski is not Japanese. The admission comes after multiple insistences from people within Marvel that Yoshida was a real person who was not Cebulski. As Johnston points out, Cebulski himself went so far as to insist that he’d “seen” Yoshida within Marvel’s offices and at various conventions, but at no point did he make an effort to explain that he was speaking about himself. “Akira Yoshida” is listed on Marvel’s site as having begun writing for Marvel back in 2004 with credits like Thor: Son of Asgard. The last issue of X-Men: Kitty Pride—Shadow & Flame was published in 2005. “Yoshida” also gave interviews as early as 2005 about his work and life, describing how he’d supposedly grown up in Japan reading manga, and how he first learned English from the American comic books that his businessman father would bring home from trips. According to Cebulski, he initially devised the plan to submit writing work under an assumed name because, at the time, Marvel staff were not allowed to write for the publisher out of a desire to prevent unfair reciprocity between various departments. Were a staffer interested in writing or illustrating, a request would have to be approved, and said request would only have been approved with the provision that the employee in question’s overall pay wouldn’t exceed their base salary. Cebulski says that he ultimately came clean about the entire charade to Marvel earlier this year, stating that his plan was to use Yoshida’s name for pitches to other companies like Dark Horse, where he wrote Conan, and Dreamwave, where he wrote Darkstalkers. That last writing gig brought Yoshida to the attention of a Marvel editor who enjoyed his work, and prompted him to hire Yoshida to write for them months after Cebulski’s employment had already began. Because Cebulski came to Marvel and admitted to what he’d done, the publisher allegedly decided that it was still a good decision to appoint him as Editor-in-Chief, but it can’t be stressed enough how objectively bad a look this is for Marvel. While it’s bad enough that Cebulski broke then-company policy in order to achieve his goals, it’s particularly troubling that he was more than comfortable inhabiting an identity that is not his own. While Cebulski lived in Japan in the past and is a self-identified fan of Japanese culture, that doesn’t at all make it appropriate for him to present himself as a Japanese writer whose voice would be regarded with a higher degree of respect for its authenticity when writing about Japanese culture and characters. Even more concerning, though, is contemplating the logic that had to have gone through the Marvel’s Powers-That-Be’s minds in coming to the decision to promote Cebulski. Had he not been promoted to EIC, there’s more than a good chance that no one would ever have bothered to follow up on the allegations against him. In putting the spotlight on Cebulski, Marvel’s also shining a rather bright light on itself at a time when it’s been criticized more than once for its overwhelming lack of creators of color. From the outside looking in, it appears as if Marvel would rather hire white people masquerading as minorities, rather than making an earnest effort to tap into the vast community of creatives of color trying to break into the industry. Update: Marvel has stated that it is not providing an official comment on Cebulski’s actions or its decision to promote him, but it does acknowledge the veracity of his statements. “He’s one of my favourite people (and) I think many people who know CB will know that he is one of the most globally minded, and very culturally sensitive as well.